The Briton 2100 Series of door controls was created to offer the optimum performance and aesthetic solution for today's door control needs. Developed in conjunction with installers, the Briton 2100 Series builds on Briton engineering excellence by incorporating the simplest, quickest and most accurate installation system available. The combination of engineering prowess and appealing design creates a truly versatile architectural solution capable of surviving, and looking good, in even the most ‘Extra Heavy Duty’ applications. Briton 2130B adjustable power sizes 2-6 with backcheck. Adaptable, wide choice of power ranges. Unique Accufit backplate system - performance, reduces installation time and dramatically improves accuracy of fitting. Fully certified to EN1154, EN1634, CE Marked and Certifire Approved CF111 for performance, reliability and safety. The Briton 2100 Series has been subjected to a comprehensive programme of fire testing to the new European standard EN 1634. 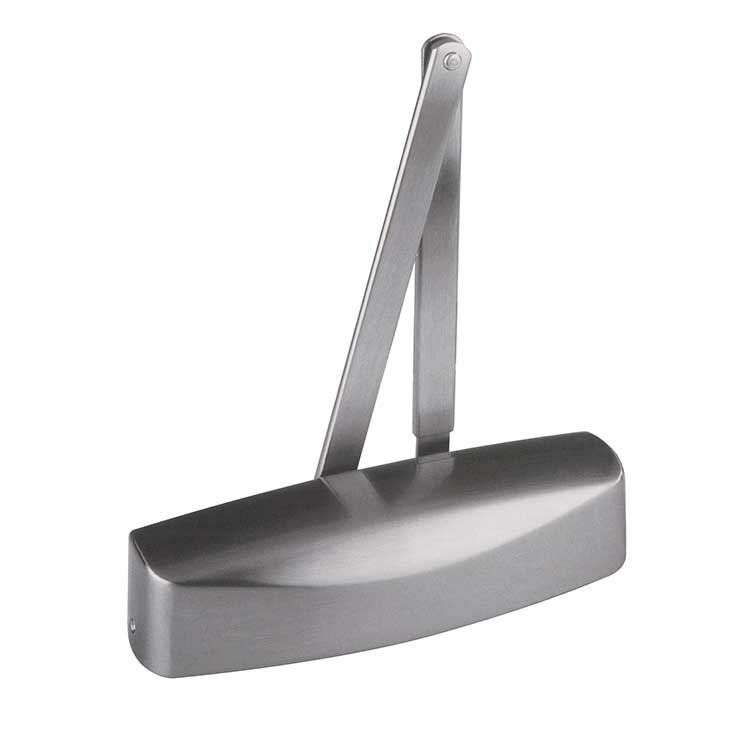 Briton 2100 Series door closers have Certifire approval which validates a product’s suitability and defines the limits of its performance. The Certifire certificate provides independant verification and reassurance that the product supplied and installed will exhibit the same level of performance as that used in testing. 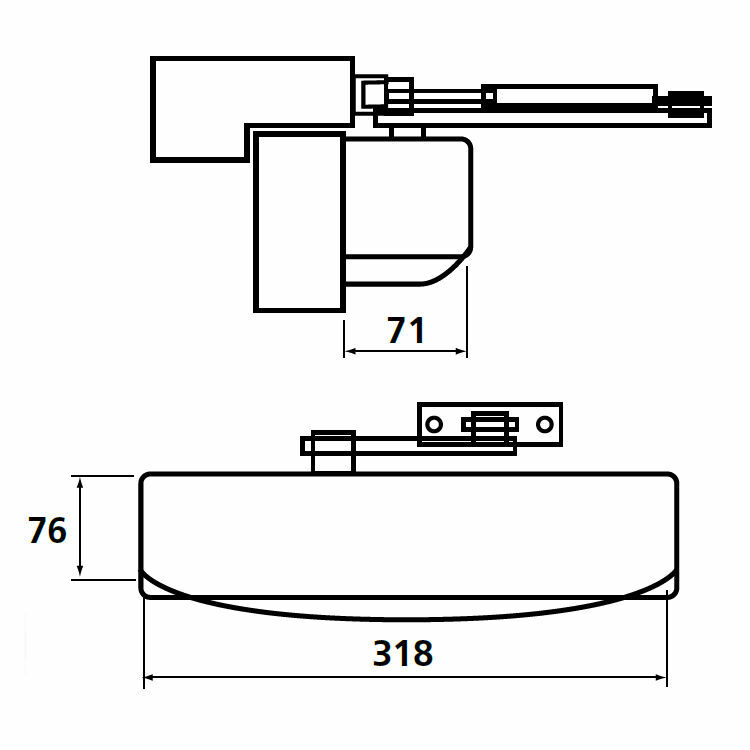 Is the European standard for “controlled door closing devices” and, as such, tests mechanical door closer performance. Adopted by EU member states, it becomes a mandatory requirement for CE marking in 2004. It prescribes the test methodology and subsequent classification of randomly selected production line products. The test data, together with supporting technical evaluation, results in a classification code. This coding allows comparison across a range of closers according to their compliance with the standard. Keyprint Security Ltd. is a trade only supplier. All prices exclude VAT and are subject to change without notice. E.&O.E. Copyright © 2019 Keyprint Security. All rights reserved.